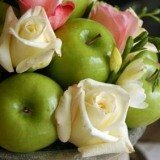 Florida Weddings - Find Your Vendors! Florida weddings can be the perfect way to tie the knot, and your wedding doesn't have to be on a beach (although what better way is there to get married?). 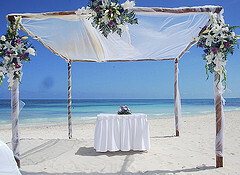 Florida is perfect for destination weddings as there are many resorts and hotels that accomodate large crowds. Having a winter wedding in Florida is always a great idea if you and your guests are coming from a cold location. The first image that pops into most people’s minds when they think of a wedding in Florida is the beach, and there is no shortage of options when it comes to choosing a tropical location to tie the knot. The Miami and Ft. Lauderdale are offers beautiful beaches, great resorts and hotels and proximity to several major airports which allows for easy travel for you and your guests. Go a little farther south, and the Florida Keys offer a paradise that matches anything a Caribbean island can offer. And, the best part is that you don’t have to have a passport to land in this paradise. The panhandle of Florida has several great locations including Destin and Panama City. The beaches here are white, and the water is emerald green making it the perfect setting for your big day. Getting married in Florida doesn’t mean it has to be on or near a beach. Disney weddings allow you to get married like a princess, and guests really like the option of being able to stay a few extra days to tour the theme parks. 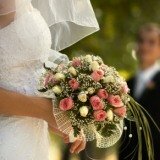 Do You Own A Wedding Business?